School slate used by John Grant Gordon of Skibo Gates, Clashmore, in about 1936-1937. He later died in an accident. Given by his brother, also John Gordon. 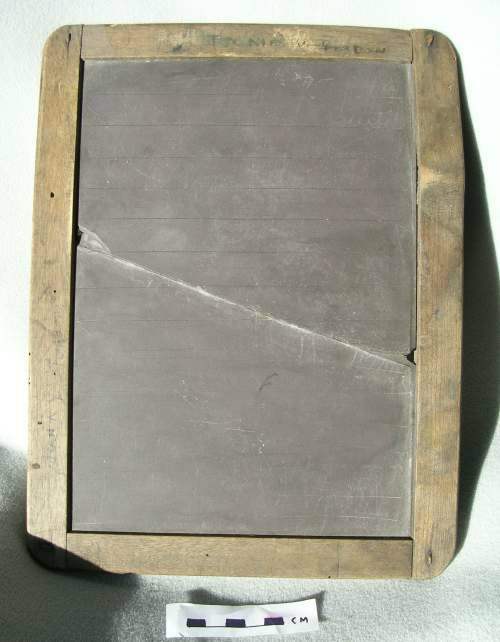 The lined slate has a diagonal break across its width but is held together by the wooden frame. The frame has a few woodworm holes and the names John G Gordon and James W Gordon are written on it in ink. Inside 2001.116.001.